A recent article by a team of New Jersey researchers. The article, "The evidence of admission functional independence on early recovery in pediatric traumatic and nontraumatic brain injury" was published in a special issue of the Journal of Head Trauma Rehabilitation (2018 Nov/Dec;33(6):E11-E18. doi: 10.1097/HTR.0000000000000374). The study is the first to examine the child’s level of function at admission as a predictor of gains during inpatient rehabilitation for brain injury. The findings underscore the differences in TBI recovery patterns between adult and pediatric populations. 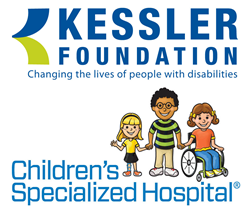 For more information, or to interview an expert, contact: Carolann Murphy, 973.324.8382, CMurphy(at)KesslerFoundation.org.